Technology has affected a wide range of issues in our personal and professional lives. And in doing so it has opened the door for new legal questions, especially with regard to intellectual property and, more specifically, copyright. New legal questions have arisen with respect to the authorship of web pages, databases, computer programs, and, in general, multimedia work. Is this technology internationally protected? Can internet piracy be considered piracy? To whom does the copyright belong when more than one author exists? When is it necessary to resort to technical protection devices? By examining international laws, such as the WIPO treaties and EU law, this book offers a clear answer to these questions while focusing on how copyright does or does not protect new technology. 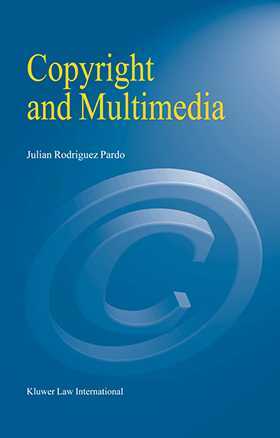 It also examines alternative ways of protecting technologies that present the real possibility of appealing to patent and trademark law as well as an overview of the multimedia concept and the origins of copyright. This book's simple structure helps the reader to understand how to utilize current laws to protect one's work and offers an interesting and informative analysis of the subject.